Anyone visiting Cyprus for scuba diving will find an impressive underwater landscape as well as one of the best diveable wrecks in the world, the Zenobia. And of course it is possible to learn to dive in Cyprus.Courses are offered daily in small individual groups. Cyprus, also known as the island of Aphrodite, has a lot to offer. From the Troodos Mountains with its pretty villages, good food, great beaches and cultural treasures above and below water, tourists will be impressed. Legend and rumour say, that the gods holidayed in Cyprus already, which is not surprising with more than 320 sunny days a year. 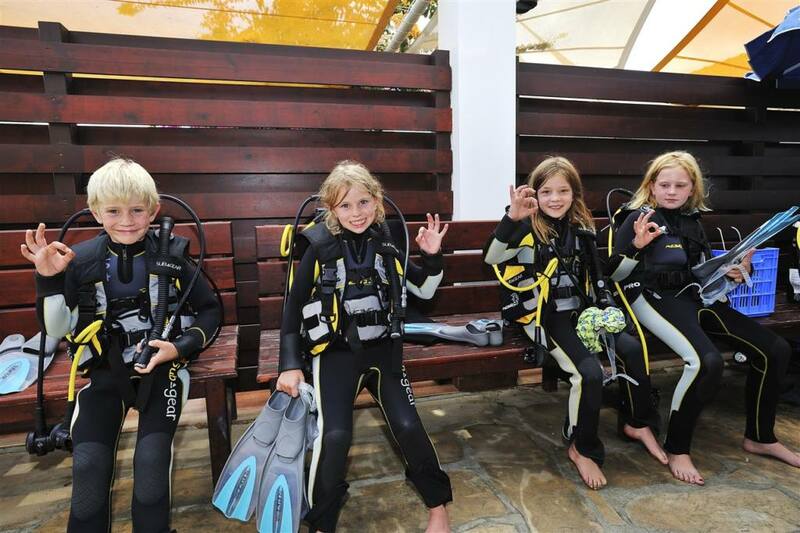 The short flight time and the numerous sport and leisure activities for both children and adults are an important consideration for both single travellers and families at the Aldiana Club Cyprus, where our dive centre is also located. The Aldiana Cyprus is in the Greek part of the Cypriot Republic, and thus in the southern part of the Mediterranean island. Culturally unique, Cyprus is an El Dorado for bikers, hikers and wine connoisseurs. In addition, the Aldiana Club offers a comprehensive range of wellness and water sports facilities. Recreational diving is a popular activity in Cyprus, especially among wreck divers. With little current, very good visibility and one of the longest diving seasons of the Mediterranean Sea we will show you the best dive spots off the island. The underwater scenery of the Mediterranean Sea is also very diverse in Cyprus and seagrass meadows, rock formations, caves, tunnels and overhangs as well as sandy areas vary. 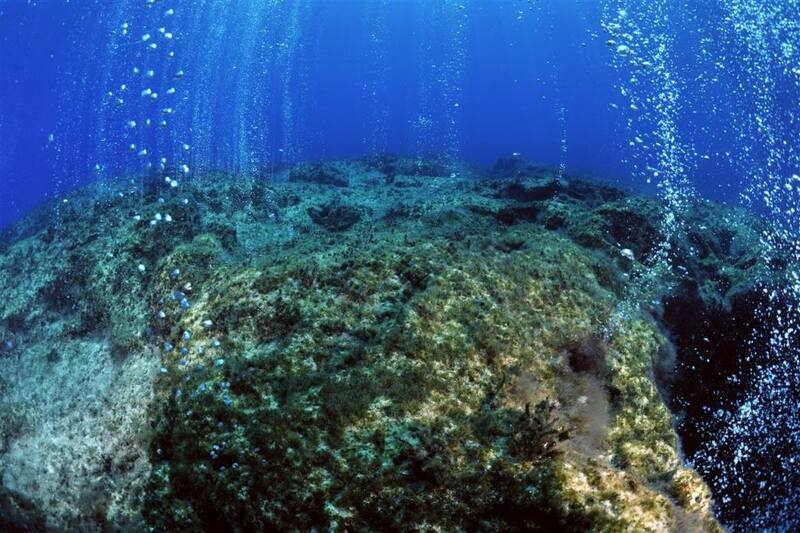 Cypriot diving became famous primarily because of the probably largest shipwreck of the Mediterranean Sea. Undoubtedly the Zenobia is the absolute highlight for divers. During its maiden voyage not far from the port of Larnaca in 1980, the 180 m long freighter sank and cannot be explored on a single dive. Not without merit it ranks among the top ten of the world’s dive-able wrecks. From a depth of 17 – about 42m, to about 70m experienced divers can dive into the wreck and explore the winding passages and cabins. From Larnaca harbour we visit this spot several times a week. Other shipwrecks, such as the wrecks of the Constantidis and Lady Thetis, were scuttled off the coast of Limassol in 2014. These artificial reefs are another diving adventure in Cyprus and we also make regular trips to them. Not only wrecks are appealing in Cyprus. More underwater landscapes are well worth exploring. For example, there is Cap Grecko, a nature reserve which we offer as a half-day excursion. By car we drive about 1.5 hours to this place to the east. With its caves and tunnels, Cap Grecko is very popular with our guests. We will take you to beautiful rock gardens and rock formations covered in sponges. We depart in the morning from the Aldiana by car to Kyrenia in the northern part of Cyprus. There we have several dive sites which we reach very quickly by boat from the harbour in Kyrenia. There is a reef system consisting of three dive sites with steep walls, canyons and numerous underpasses. A great excursion not only for divers. With a maximum depth of 6m, the seagrass meadow directly in front of the entrance offers ideal conditions for diving training and beginners. 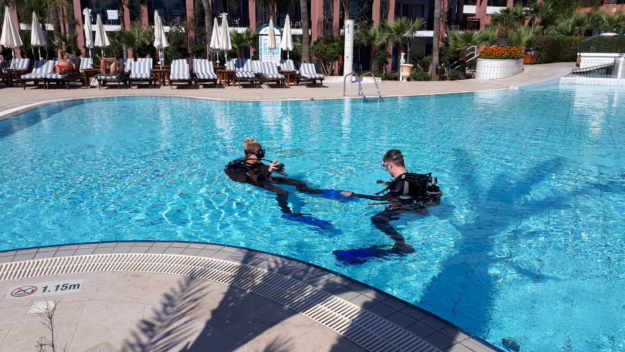 Our little guests learn to use the diving equipment in a playful way during the ” fin courses” in the pool and perform their first scuba diving skills. Aside from diving you can go banana-boating, water-skiing and wakeboarding with us or fly with the Ringos over the clear sea. Anyone who wants to go a little faster can rent jet skis and use them to dash across the water. There will be no conflict between divers and water sports enthusiasts. And how is the weather in Cyprus in a certain month? As of March, /April the winter on the Mediterranean island is over. The thermometer then climbs from a cool 17° to 23°. In May temperatures of 28° to 33° Celsius finally arrive – and that until the end of October. November will be a little cooler, but the sunshine hours will go only just down. Throughout the summer months it is between 11 and 13 hours, during the months of March and November we enjoy an average of 7 hours of sunshine a day. During this period, rain is also relatively uncommon. Rainy days tend to accumulate during the winter months from the end of November to the end of February. This is certainly one of the reasons why Aldiana in Cyprus is being closed during this time. What is the best time of year and when do visibility peak? This quickly answers the question of the best time of the year in Cyprus. Between March and the end of November. There are hardly any currents off Cyprus. This means that we have one of the longest diving seasons in the Mediterranean for Cyprus. The tides are of very low amplitude and the visibility is between 30 and 40 Meters. It ensures that the diving conditions are very good. Can you tell me what water temperatures I can expect, and do I need a diving suit? The water temperatures in May and July are between 18 and 26° C, and in August and September between 28 and 26° C and then drop from 24 to 17° C until December. It is recommended to bring a long 5 to 7 mm suit, if you prefer you may also bring a semi-dry suit. Diving in Cyprus: How to dive? It is easy to dive in Cyprus. In front of Aldiana we have a small house reef with a beautiful seagrass meadow. We primarily use the house reef for diving training and re-entry. Most of the diving trips take place by car and from the beach. We will depart between 7.30 a.m. and 8.00 a.m. to the dive sites which are between 45 and 70 minutes away and offer either One-Tank or Two-Tank Dives. The Zenobia is reached from the port of Larnaca. There we get on the boat. The dive sites in the north are also reached by car. From Kyrenia we transfer to boats to reach the dive sites. Incidentally, an excursion not only worthwhile for diving. Is it possible to dive in Cyprus as a beginner diver? At any rate Cyprus is suitable for beginners. 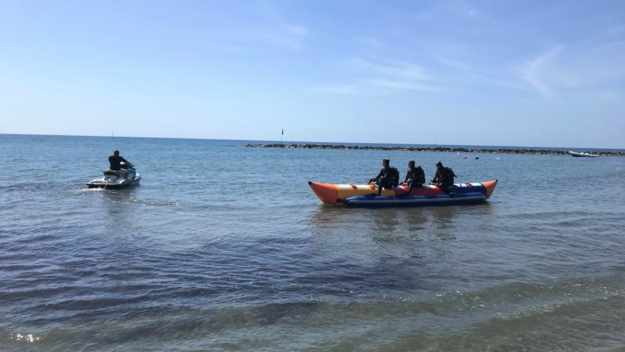 As mentioned above, we have hardly any currents in Cyprus and with its warm waters and clear visibility we have perfect conditions for beginners. Is it possible to learn diving in Cyprus? In Aldiana Cyprus, diving lessons are a key task. Introductory trial dives take place several times a week in the pool. The first lessons of the training will start here before we head to the house reef directly in front of the center. Excellent conditions provide an easy entry into the underwater world. You can complete the Open Water Diver course in 3 to 4 days in a pleasant environment. The diving theory you can learn with us at the center or conveniently at home online. This is completely up to you. Whoever completes the beginner diving course Open Water Diver with us will return home with an internationally recognized certificate and is therefore welcome at any diving center in the world. We train according to i.a.c., SSI or PADI guidelines. All diving certificates are absolutely the same and recognised worldwide at every center. Which insurances are available in Cyprus, how is the care in case of a diving accident and do I need a medical certificate? Personal diving accident insurance is not compulsory but highly advisable. There are several international providers (e.g. DAN, AquaMed, DiveAssure, VDST). You are advised to take out such insurance, as the necessary treatments are generally not covered by the usual travel insurance. 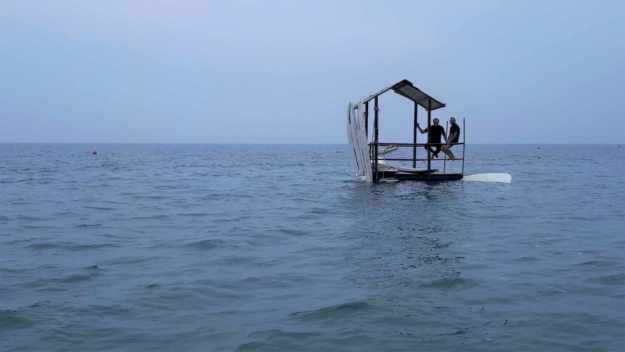 Both the diving centers and the diving instructors are of course insured. The care in case of a diving accident is also well organised in Cyprus. The decompression chamber is in Larnaca, about 25 km away. However, the trips to the Deco-Chamber are not exactly cheap. Therefore, we recommend taking out a dive accident insurance as described above. Our centers and vehicles are equipped with oxygen, telephone and first aid kit. First-aid training of our staff is a natural part of our work, so that everyone on our premises knows exactly in an emergency what to do. Thankfully we hardly ever experience real diving accidents. An examination by a diving physician is always recommended for participation in diving courses or later dives but is only required by law in Cyprus if one or more questions in the medical questionnaire are answered with “yes”. However, in your own interest we recommend that you have a medical examination and a certificate issued before your trip. Is it worth to book diving packages or diving courses in advance? Dive packages or diving courses are usually about 20% cheaper in advance than on site. Not all, but the most important services can be pre-booked. What else does Aldiana and Cyprus offer? The Aldiana offers archery, beach volleyball, sailing, various fitness programs and massages in the spa area. For the little ones, the “Finclub” is the place to be. 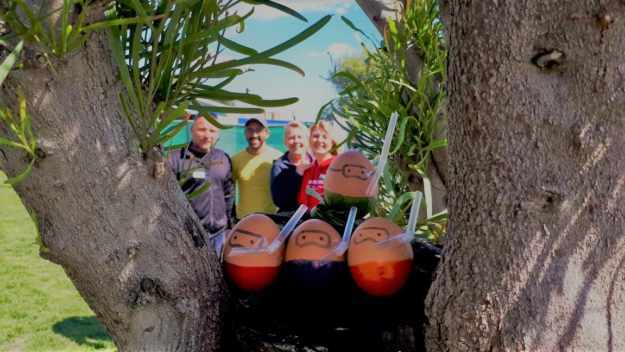 This offers a varied children’s program and is, therefore, a good choice for diving parents who want their children to be looked after during their excursions. Culinary delights are provided by the Chefs, who conjure up new, tasty dishes on the table every day. The island itself is above all a landscape dream and offers a multitude of hiking and excursion possibilities. For example, the Trodos Mountains with the 1952m Olympos and spectacular views. Cyprus is also a culturally unique El Dorado for bikers and hikers. There are many romantic mountain villages and monasteries to discover. 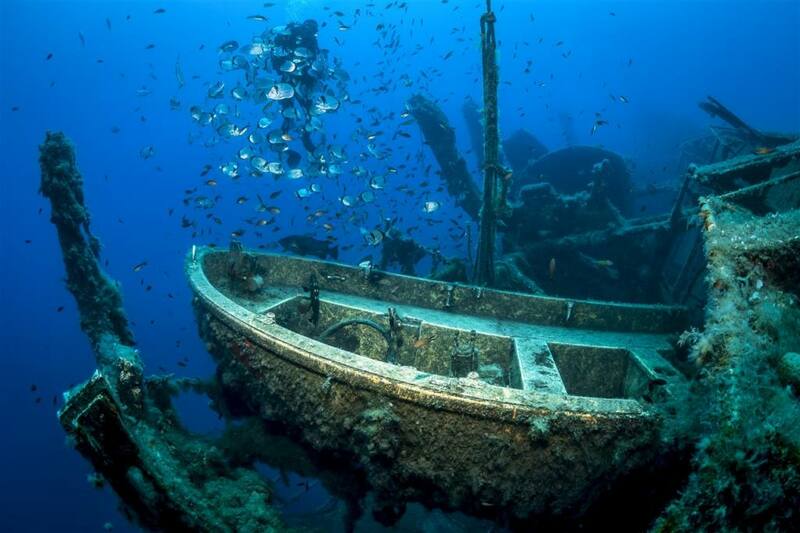 Diving in the Mediterranean Sea – mystical underwater world and one of the best wreck dives worldwide, the Zenobia! 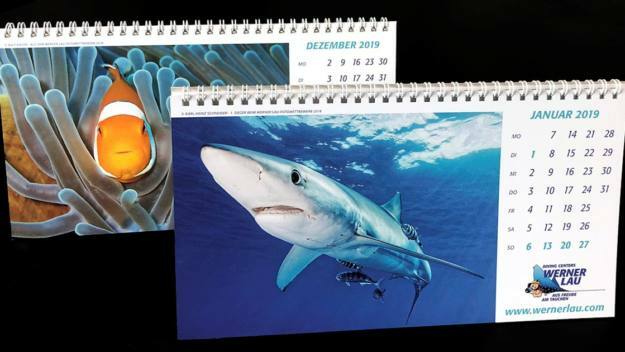 The Werner Lau Table Calendar Campaign is back! Blog Cyprus - 21.04.2019 The Cyprus team wishes everybody HAPPY EASTER! 03.04.2019 This morning Flavia started an Open Water Diver course. She went with her student into the pool where they have been doing the first skills. Tomorrow they are going to do 2 open water dives at our house reef. 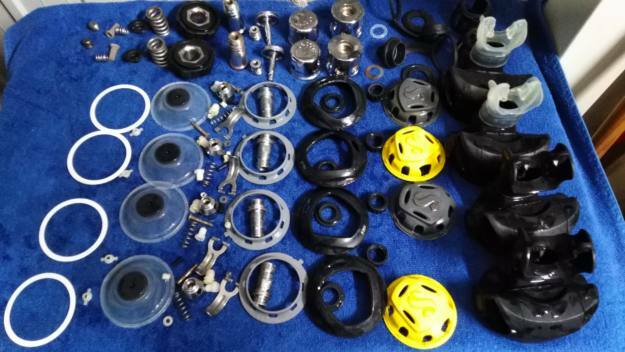 Blog Cyprus - 21.03.2019 Each year at the beginning of the season we service our dive center equipment. Regulators and jackets are getting maintained and wet suits fixed so our guests are having safe dives. 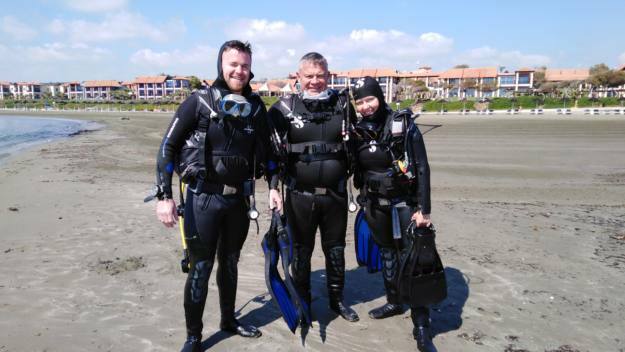 Blog Cyprus - 13.03.2019 Markus and Reinhard were our first two open water students this year. They finished their course at the weekend and are already planning their next dives. Enjoy your future dives!